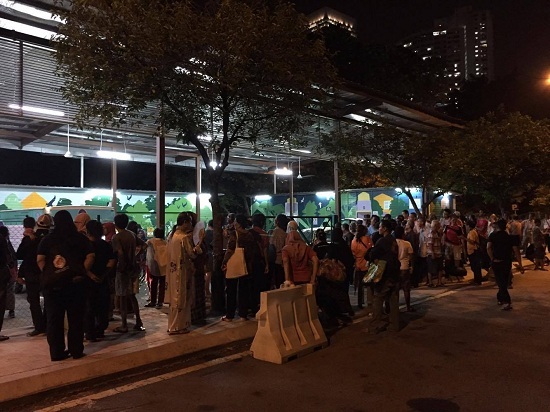 24 November 2016 - It was a usual Thursday afternoon when my class ended early at 3.30 pm. In view of my free time, I went to the dental clinic in my college for a check up on my supernumerary tooth (an extra tooth which grows out of proportion in the oral cavity) for the first time. Upon arriving, I had a normal check up by the dentist on the ground floor of the clinic, Dr Raeshma. She noticed that one of my molar tooth (wisdom tooth) is slanted and decayed. I was shocked and surprised at the same time, how could my wisdom tooth decayed without any symptoms, I was talked to myself. 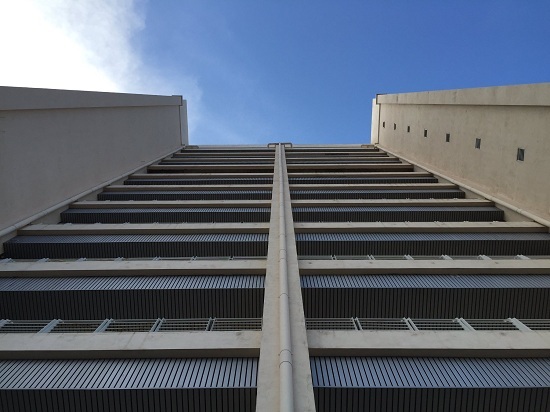 After that, she referred me to 3rd floor for 'further evaluation', which I thought is great. 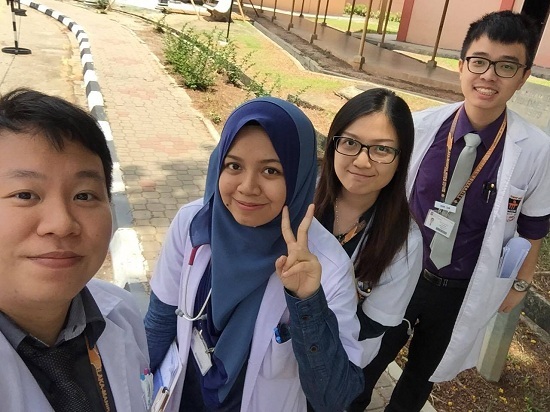 However, when I arrived, there are so many dentistry students there, some of them were the ones I knew like Yi Wei, Chopper, Kit Yee, etc. The feeling is strange because I am meeting them as a patient rather than as a friend. Each of them wanted to have a look at my tooth condition, which I happily agreed, because I understand, yes, I understand the feeling of an eager students who wants to learn. Since my case is just a normal tooth extraction, the dentist there advised me to do it on the same day itself, I agreed. The guy who gave local anesthetic to me is a first timer, with his seniors teaching him how and where to inject the 2% lignocaine. I personally have no problem with it, I don't mind being a subject for learning, as I recalled the situations where I gave my first injections, first cannula, first glucometer, etc, but I can't deny that I was nervous, not because of pain, but simple just nervous, because this is the first time I am actually seeing a dentist for my oral hygiene. 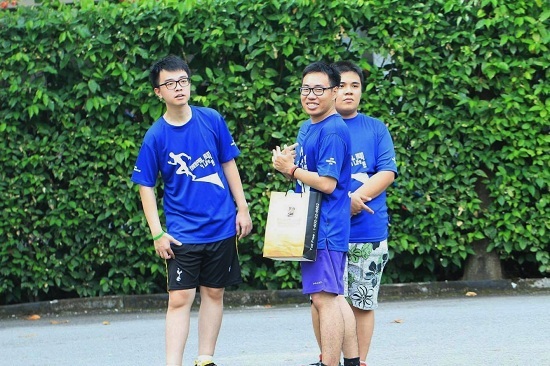 Andy, a year 4 dentistry student started the procedure, with his juniors surrounding me. They were speaking in their dentistry language (bucker tooth, tooth 1-8) and as usual asked me not to be nervous, I finally knew the real feeling of being a patient and surrounded by so many enthusiastic students at once. However, Andy could not extract the tooth out, and had to called for help from Chopper, a final year student. After much effort and swapping of instruments, changing of maneuveres, he could not remove it too. I was checking my pulse rate at the same time and I had tachycardia because of the long procedures. I thought mine was an easy case, but when they finally asked the doctor for help, I knew something must be wrong with my tooth. After an hour, the lignocaine effect starts to wear off and I can feel mild discomfort, and with much effort, the doctor removed it and it was found that the root of my tooth is bend to 90 degrees, that explains the difficult procedure. The entire procedure took more than an hour, but I knew it was not their fault, as my wisdom is not like the rest, wisdom tooth I meant. Days before going to Segamat, I was worried, mainly because of the current comfort zone in Melaka I have been enjoying all these while. 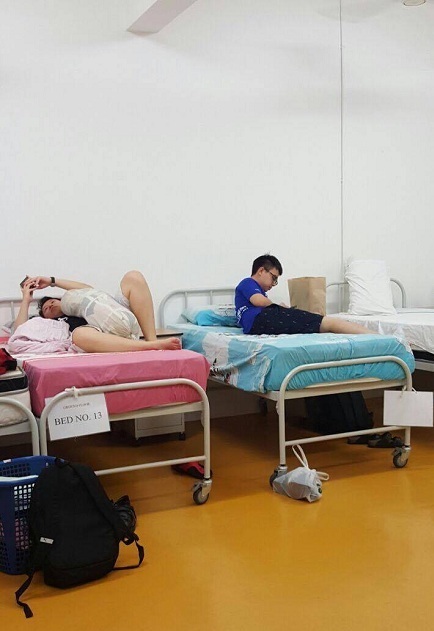 I need time to adapt to a new environment (I guess everyone does), and going there for 5 long days means no aircon, no good food, no friends and no comfy bed. I was driven here not only by car, but also by the positive feedbacks I got from my friends and seniors from the experiences they had in Segamat Hospital. 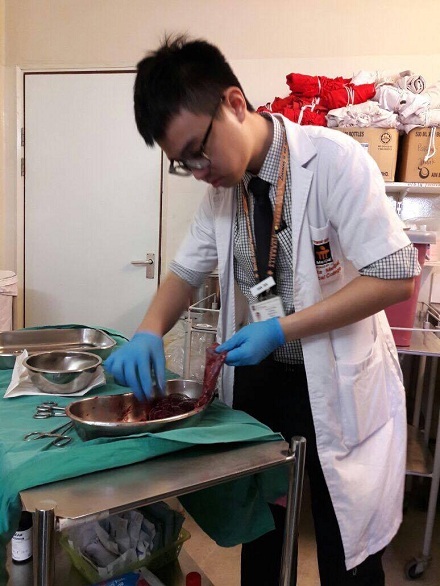 On the first day itself, I examined a placenta with the guidance of Staff Nurse Tay. I can feel the soft and bouncy consistency of the placenta along with its umbilical cord. First day of posting is on a Sunday, since the official working day for Johor starts on that day. Nevertheless, we stayed until 9 pm to watch the last emergency LSCS (lower segment caesarean section) to sum up our day! Felt so occupied and tired for the day but we have definitely learnt a lot compared to Melaka. 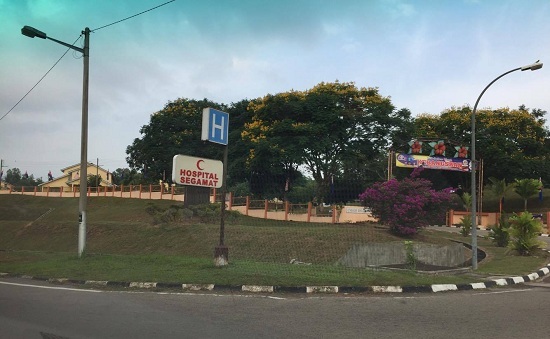 For our stay in Segamat, we are granted a dormitory which is actually modified shop lots few minutes away from Segamat Hospital. There are various students from other postings who were staying with us too. 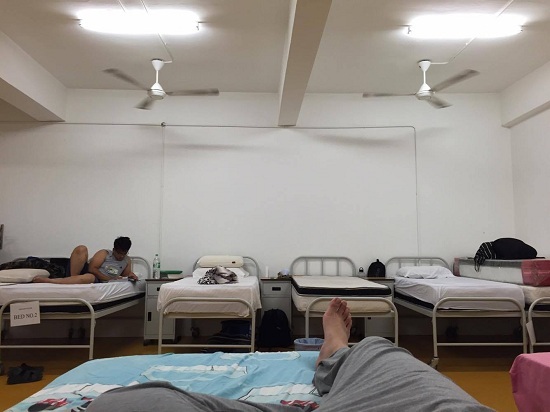 The ground floor is the male dormitory whereas the 1st floor is for females. There are also washing machines, clean toilets with functioning heaters for bathing purposes and a study room with aircon for us. Food in Segamat is good. There are many hawkers centers around and also some nice cafes nearby. The cost of living there is lower as seen by the price of the food. A plate of chicken rice costs RM 4 while in Melaka, it easily costs more than RM 5. For the first 2 days, Yong Jin and I were just roaming around during meal times to explore the unexplored areas LOL. 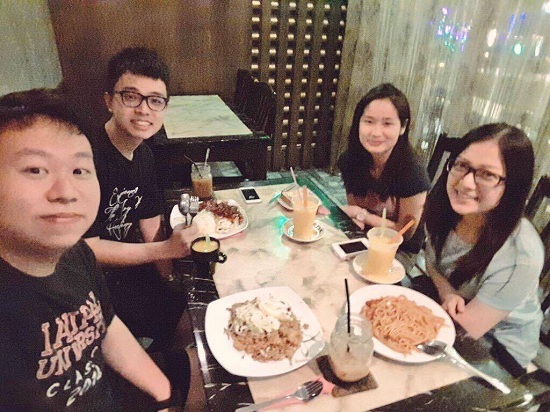 On the 3rd day itself, we had dinner with Wei Ling and her friend, Kah Suen who is in Anaesthesia posting. 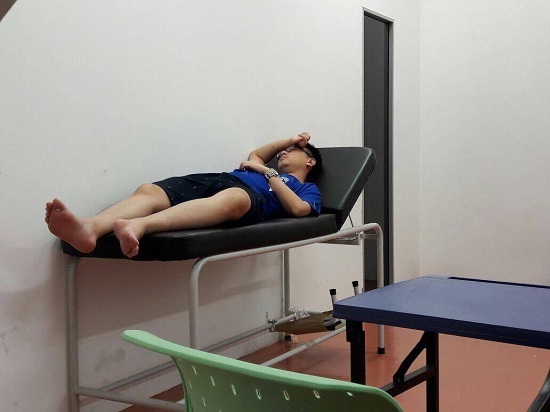 Aircon study room, time to take a nap! 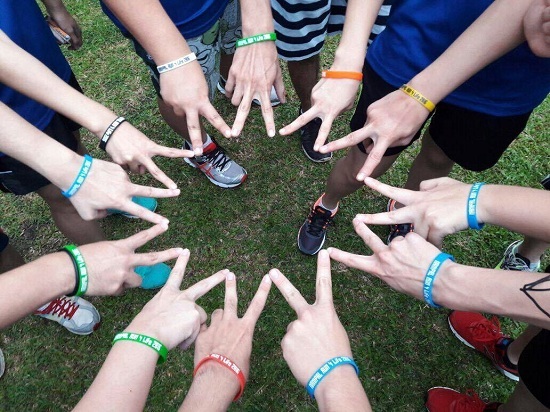 1) Wei Ling: With the surname of Lee, she is one of the person from Batch 32 whom I know she exists but I don't know her personally before this. Quiet and shy at first but friendly, approachable, and straight-forward when we get to know her. Laughs a lot. Laugh threshold moderate. 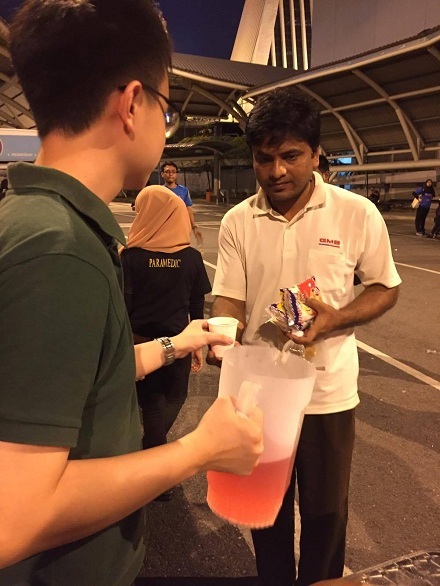 4) Leon: He is a final year medical student from Monash, based in JB. Serious looking at first but is approachable and helpful at times. 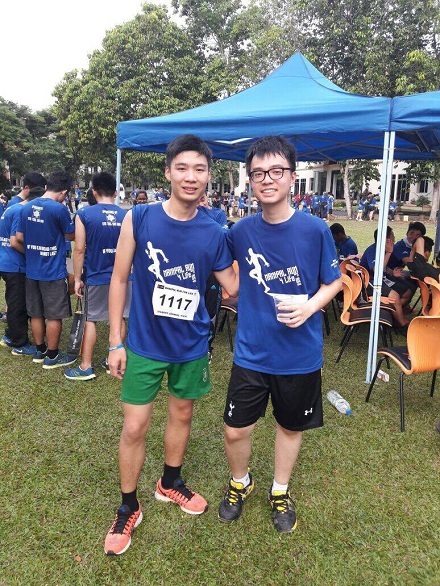 5) Dr Cheong & Dr Woo: Both of them are housemen graduated from MMMC Batch 25. They totally understood the pain of having a portfolio that need to be filled by doctors (if you get what I mean). Dr Cheong is good in his CME presentation, with adequate medical knowledge, he knows what he is presenting and is able to answer questions directed to him. Definitely one of the person I am going to look up to! 6) Hasif: The one who slept beside me (not on the same bed). Super-friendly and is willing to share his experiences and advice to me all the time. He is from the same batch as me but different class. Experiences in Segamat is one that I have learnt the most in my O&G posting. 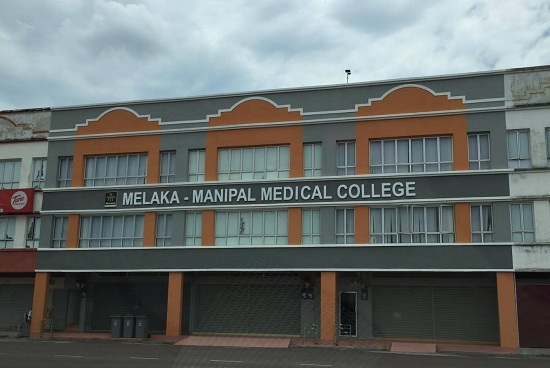 I managed to get hands on to conduct the 3rd stage of labour (placental delivery), perform a PV examination to look for cervical dilatation and effacement, and many of the practical things I am only able to get from textbooks if I were in Melaka. 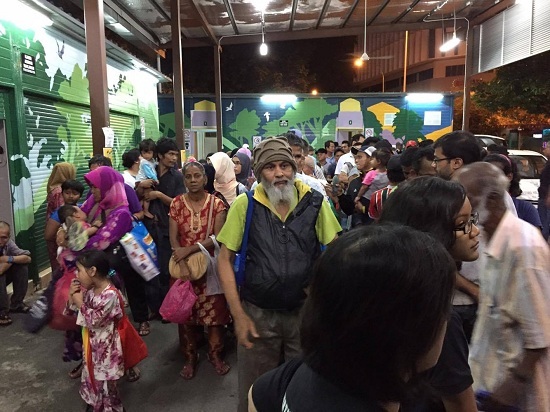 23 August 2016 - I have just returned from my 2 days 1 night trip from Cameron Highlands! The last time I visited Camerons was last year, with my deba, makmak and ah ling yiyi. Not much has changed, except for the weather which is slightly warmer than before, maybe it is because of the changing climate coupled with global warming. My friends and I decided to come here because it was the beginning of our semester break of 1 week, and because we wanna have a place to chill and relax due to the hectic schedule of our postings. 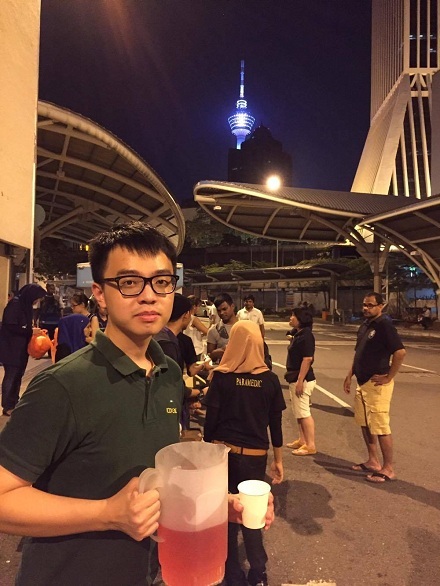 The main organiser for this trip is Wei Jie because he is familiar with the places in and around Camerons. We started our journey around 9am from Wei Jie's house in Seputeh and headed north to a market place in Kampar, Perak to have our hearty breakfast. After that, it was time to climb up the sloppy hills! After we have unloaded our luggage in Parkland Apartments in Brinchang, the first place we visited was Cactus Valley. I am not a fan of cacti, neither am I aware of my friend's hobby of having one because to my surprise, all 3 housemates of mine (Wei Jie, Siong Keat & Yong Jin) bought some small cacti which costs few ringgits each. Next, we head down to Starwberry Farm. There are so many strawberry farms around the area, with some prominent signs, usually written 'pluck your own strawberries!'. However, the cost of it is not cheap, priced at RM 30 for minimum of 500g, thus we just visited the strawberry products shop. There are variety of strawberry-made/associated products, jam, cakes, chocolates, to name a few. We even stopped by at some market place and did some window shopping before heading to Brinchang town for our hot and steamy steamboat dinner! We finished our dinner before 8pm so as to watch the finals for Olympics badminton men's single match between Lee Chong Wei and Chen Long (China). Heartbreaking news followed suite.... </3 Malaysia's dream of getting a gold in the Olympics just dashed away, but the hardwork and perseverance of the athletes are remarkable and beyond words. Thank you to all who have worked hard to bring up the name of Malaysia! The next day, we went to BOH Tea Plantation at Sg. Palas after breakfast and checking out from our apartment. The greenish tea leaves at the plantation hills are so pleasant to our eyes, and the refreshing BOH iced tea is undoubtedly soothing to our taste buds. Before heading down to put a full stop to this wonderful trip, we stopped halfway to take some amazing photos on the plantation sites. Life is always beautiful if you choose to see it this way. I am truly grateful for the fabulous friends I have, who constantly provide supports and bring joy to my life always. 6 August 2016 - This event is organized by my college, and it's called 'Run for Life'. Neither do I know what's the meaning, or is it associated with run for your life or run for a better life or what will you do if you sleep instead of running? Guess which wristband is mine? 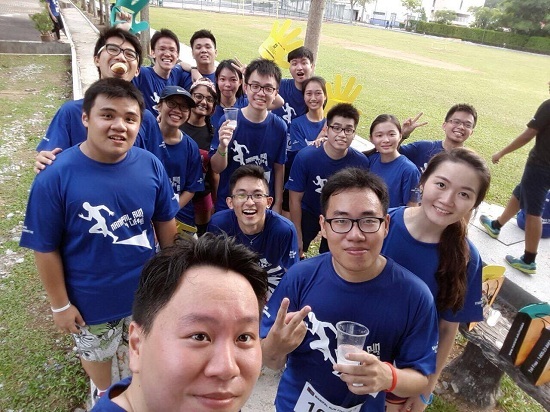 However, I have tried my best and managed to run past as many friends as possible during the 5 km stretch which circles around my college. With some training and extra effort in the coming months, I promised myself to set a new target to reach for the top 25 next year! Please support me physically and mentally. 2 August 2016 - Terrible, Terrible, TERRIBLE! 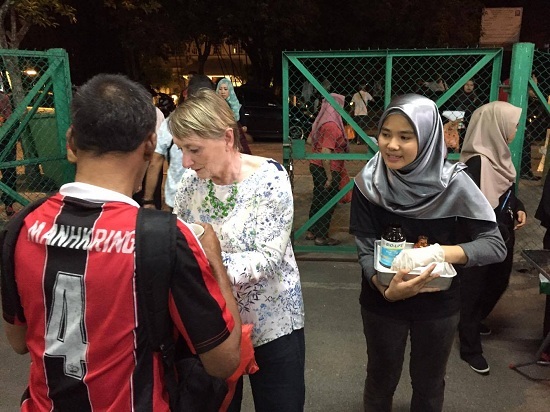 Prior to that, we have already collected some donations from the students and bought some essential items such as rice, cooking oil, toothbrush, breads and so on, to be donated to the homes. The Student Council members lead by the Community Director, Yassin (my friend) really did a good job by sacrificing their time planning and by organizing these home visits. The first home that we visited was the children center. Most of the children there suffered from cerebral palsy. They either have certain degree of mental retardation, or some have functional impairment and unable to walk or talk normally. The environment there is bad. Most of the children have to sleep on beds without bed sheets and not much spaces were there for them. I thought the condition is bad until I walked upstairs, it is worse! Some people are locked in a room, and some are just abandoned in another room, with no attention being given or whatsoever. The strong stench of urine is petrifying, along with the sticky marble floor that kisses our soles as we walked by, ewwww! More than 15 kids are staying upstairs, or should I say, thrown upstairs. Most of the children are in the growing phase, but they are being dumped into the home just like that, ignored and abandoned. There are also some adults which suffered from the same disease as well, although they are able to converse in their mother tongue but they are not coherent and the things that they spoke is irrelevant. The second home we visited is Villa Harapan. The name sounds like a grand villa filled with hope but actually, it's NOT! 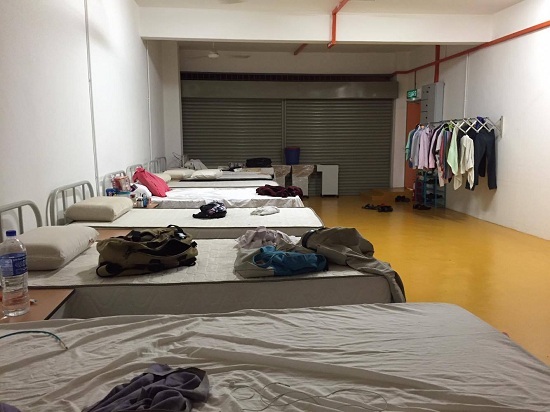 This home is actually catered for the homeless people on the street of Melaka. It is sponsored by the government to provide food, shelter and clothes to the homeless people. Having said that, the residents are actually not allowed to roam freely outside, unless during the time where their family members (if any) were to come and visit. Some of the are even locked in 'lokap' or jail, with the reason that they caused violence and are dangerous to the surrounding people. The condition is terrible as well. In a small cell, 3 people are packed within with just a toilet, no lights, no bed, nothing. I can't help but feel that the dogs in my neighbourhood lives better quality lives than them. Visited these homes again reminded me of how lucky I am, compared to some unfortunate people on the same planet. I am sure each and every one of them have their own sad chapters in life, and those are the stories that no one is willing to read. I personally feel that as individuals, the level of respect we have for one another should be regardless of race, religion, age, position or caste. The way I greet the hostel guard is always no different than to my professors. It is the way we acknowledge people that we will be acknowledged in the same way. 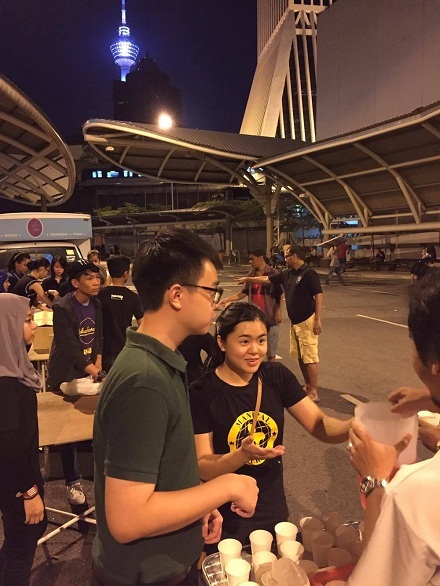 29 July 2016 - It was such a peaceful Friday night in the busy city center of Kuala Lumpur, and an amazing experience as a volunteer with Pertiwi Soup Kitchen! For those of you who do not know what Soup Kitchen is, it is basically an NGO (non-governmental organization) formed to distribute free food to the homeless and unfortunate people on the street. 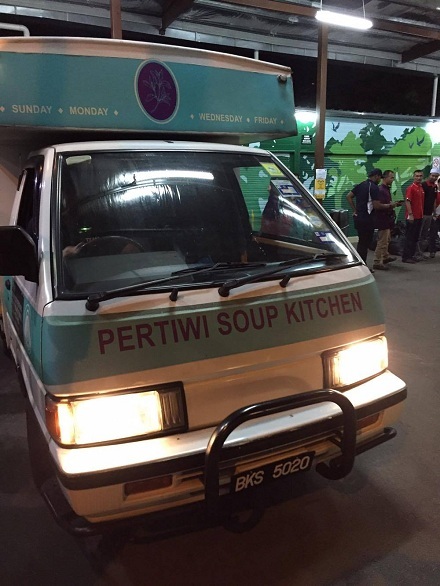 Pertiwi Soup Kitchen has been operating in the city center for the past 5 years. 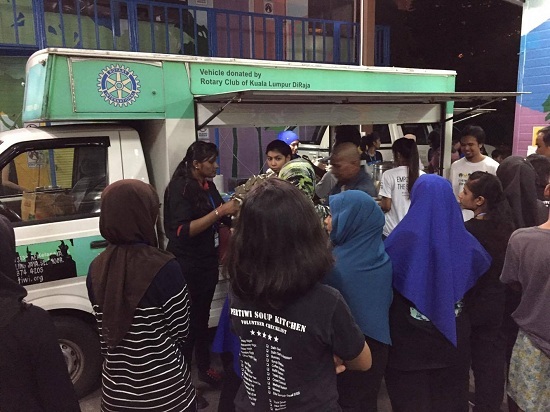 Previously, they were operating with some sponsored food and vehicles along Jalan Chow Kit, but has been relocated to Jalan Medan Tuanku by the government and they were granted a place for establishment of a base for food and basic necessities. 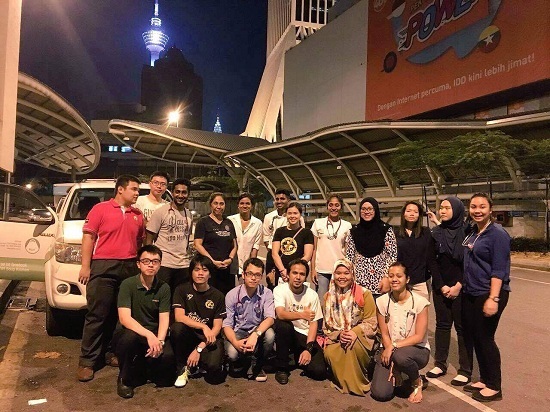 I joined as a volunteer along with some of my friends (Sin Hui, Izzul, Sophia, Anis) in order to understand the operations of this organization, and to what extend does their action helps. 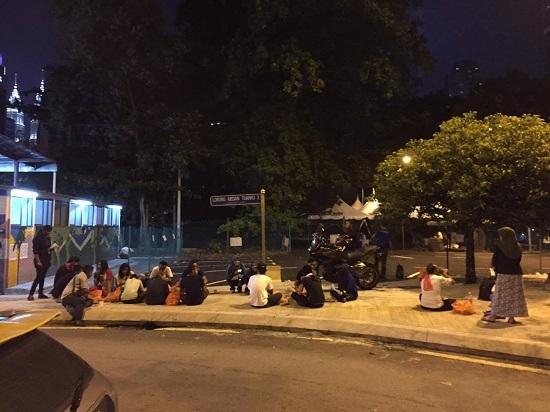 Even before the food distribution, hundreds of people (around 300-400 in numbers) already gathered along the street, waiting to get their portion of the food. Since there are sufficient numbers of medical personnel for the night, I was assigned to help out in the food session. 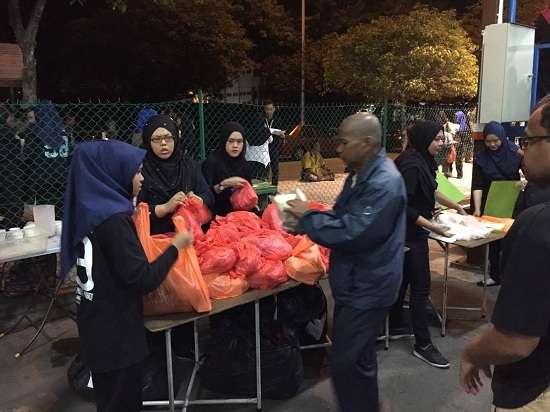 The allocated time was 9 pm - 12 midnight and Soup Kitchen is operating 4 days per week. 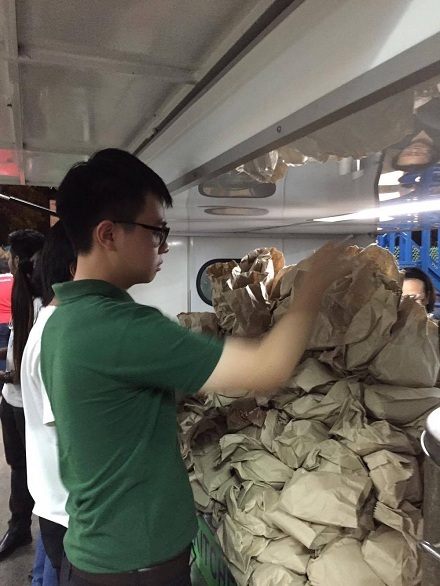 There were several stations operating at the same time, namely the food station, the free haircut station, and the medical check up station. The food provided by Pertiwi Soup Kitchen are simple, which includes a packet of plain white rice with a small piece of chicken with gravy, a banana, and a drink (coffee or syrup drink). 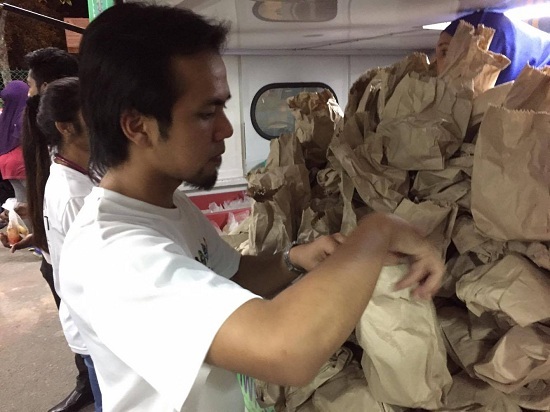 However, there are also some extra food sponsored by certain individuals, corporate or other organization, such as doughnuts and Gardenia bread. How do you know if a person deserve the food provided? Well, the answer is simple, we do not know. In fact, we are not trained to identify those person. The criteria is whoever who comes to us for help, they will get the help needed. 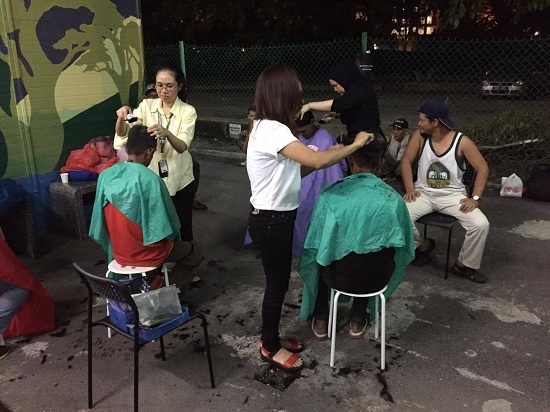 For the haircut station, there were 4 barbers for the night. Whoever who thinks they need a clean and fresh look are warmly welcomed. For the medical check up station, there were 2 doctors posted there, along with helpers and some medical students like us. We are allowed to prescribe medications (with advice from the doctors) and also referring some severe cases to the nearest hospital. 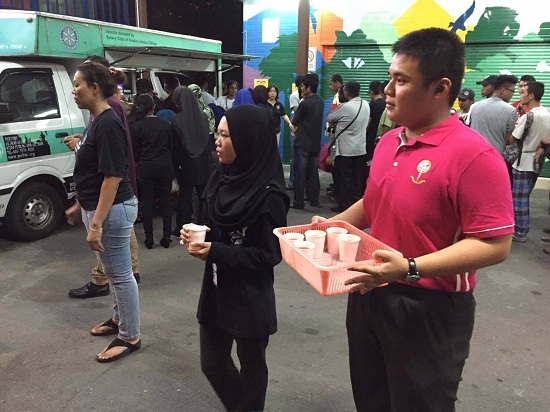 It has always been my aim to join Soup Kitchen and experience what is it like to be a volunteer myself. Well, the feeling is good. 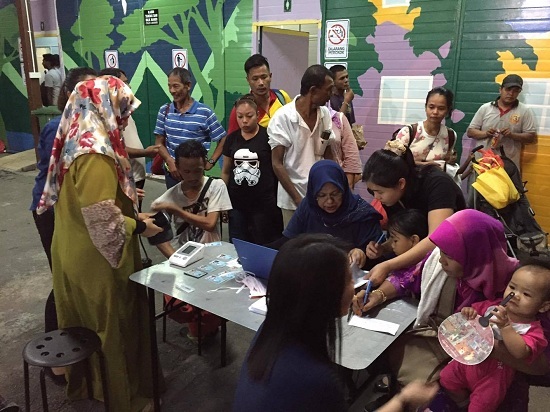 The food portion for each person is priced at RM 2+ in my opinion, but some people just could not afford that, and had to depend on these aid all these while. Some of them are so hungry that they ate the food right away after getting them. I have never seen this side of our city center before. The joy in their eyes and grateful gesture they made is sufficient enough to make my trip worthwhile.